Biography in English for tenor Mark Van Arsdale. American tenor Mark Van Arsdale has distinguished himself as an exceptional dramatic artist and musician in a wide variety of operatic and concert repertoire, most notably in baroque, Mozart, and modern works. Mr. Van Arsdale opened the 2016/17 season of the Opéra de Nice singing Tamino in a new production of Die Zauberflöte. He continued notable concert performances, singing Handel’s Messiah with the Apollo Chorus of Chicago and Britten’s Serenade for Tenor, Horn and Strings with the Orchestre de Saint-Etienne. Highlights of the 2017/18 season include Lucano in a new production of Monteverdi’s L’incoronazione di Poppea at Angers Nantes Opéra, as well as creating the role of Toso in the world premiere of Benoît Menut’s Fando et Lis in Saint-Etienne. This season and last, Mr. Van Arsdale also sings Arturo (Lucia di Lammermoor in Toulon and Tours), Poisson (Adriana Lecouvreur in Saint-Etienne), Tavannes / Bois-Rosé (Les Huguenots in Nice), Second Jew (Salomé in Strasbourg), Saladin (Ali-Baba at the Paris Opéra Comique and Rouen), Achille (La Belle Hélène at the Paris Châtelet) as well as his Austrian debut as Lurcanio (Ariodante in Salzburg). Mr. Van Arsdale started his European career at the Opera Studio of the Opéra national du Rhin in Strasbourg, and has continued to perform in over 15 productions with the company, notably: Tamino (Die Zauberflöte), Ramiro (La cenerentola), Ernesto (Don Pasquale), Le Brésilien (La vie parisienne), Alberto (L’occasione fa il ladro), among many others. 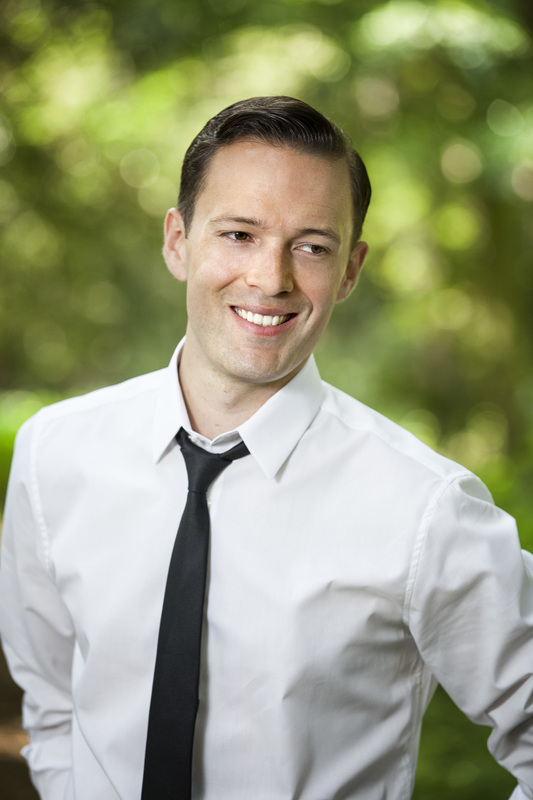 Excelling in Mozart repertoire, Mr. Van Arsdale has sung Tamino at the Opéra de Nice and Opéra national du Rhin. He debuted as Don Ottavio (Don Giovanni) at the Tanglewood Festival under the direction of Maestro James Levine, sang Belmonte (Die Entführung aus dem Serail) at the Sedières Festival and Ferrando (Così fan tutte). He has also sung many of Mozart’s major concert works, including the Requiem with the Strasbourg Symphony, Mass in C Minor in Saint-Etienne, and Coronation Mass in Chicago. In the modern repertoire, Mr. Van Arsdale creates the role of Toso in the world premiere of Fando et Lis at the Opéra Saint-Etienne, as well as Adam in the German premiere of Paradise Reloaded by Peter Eötvös at the Theater Chemnitz. He has also sung the major concert works of Benjamin Britten: Serenade for Tenor, Horn and Strings, as well as Les Illuminations and the War Requiem, with major orchestras in France and the United States. In concert, Mr. Van Arsdale performance in Haydn’s Die Schöpfung with the Strasbourg Ballet was broadcast internationally on France 3 television. His Messiah has been heard across the United States, notably with the Apollo Chorus and Cheyenne Symphony. Other notable works include Mendelssohn’s Elijah, Bach’s St. John Passion and Magnificat, Handel’s Solomon, Schubert’s Mass in C Major, Monteverdi’s Vespers of 1610 and Charpentier’s Te Deum. Originally from Denver, Colorado, Mr. Van Arsdale received his vocal training from Northwestern University and Indiana University, as well as the Tanglewood and Opera Theatre of St. Louis young artist programs, before moving to France to become a Studio Artist with the Opéra national du Rhin in Strasbourg.